New Yorkers are almost always in a hurry - whether it's around the house, on the sidewalk, or on the highway. But as many drivers have learned over the years, being in a rush often results in an increased risk of cost and delay. Speed limits may seem like an inconvenience on days you're running late, but they are carefully researched controls designed around typical road conditions to keep you safe and reduce roadway injuries. Speed limits vary by city and state, and they take the number of lanes and topography into consideration. Not only do speeding ticket fines affect your wallet, but also your future driving privileges. 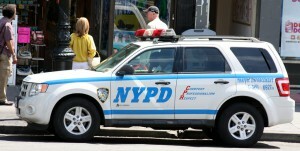 So how much does a speeding ticket really cost you in New York? For a first conviction, the cost of a New York speeding ticket can range between $90 and $600. For example, if you're speeding less than 10 miles over the limit, your ticket will usually be between $90 and $150. If you are speeding between 11 and 30 miles over the limit, your ticket will be in the $90 to $300 range. And if you're speeding more than 31 miles over the limit, you'll likely be stuck with a ticket for $360 to $600. The fines increase even more with a second and third conviction. In addition to these fines, New York imposes a moving violation surcharge, starts at $93 for a first-time offense in a town or village court and $88 for a city court. Driver Assessment Fee is also accessed for drivers who have at least six points accumulated on their licenses within 18 months or drivers convicted of certain traffic violations within the past three years. Not only will does a speeding ticket require you to pay these fines, but you'll also accumulate points each time you're convicted of a violation. Even if you're only speeding up to 10 miles over the limit, you can accumulate three points on your license. The higher your rate of speeding, the more points you accumulate. If you speed more than 41 miles over the limit, you can gain a whopping 11 points on your record. However, there are ways to beat the point system and help safeguard your driving privileges. By taking New York Safety Council's online defensive driving course, you can reduce up to four points on your license. This point reduction can make a big difference for drivers in New York. Although it is less common, a judge can impose a jail sentence of up to 30 days for speeding ticket violations in New York. Just one serious speeding violation can result in suspension or revocation of your license as well. Higher speeding tickets and multiple convictions can also make your auto insurance rates increase. Another perk about the online defensive driving course is that it guarantees a 10 percent car insurance discount upon completion. The rapid acceleration and braking pattern associated with speeding lowers your car's gas mileage and can also emit more pollutants into the air. And most importantly, speeding increases your risk of a fatal crash on the road. As you can see, there are numerous costs associated with speeding, so please think twice about these consequences next time you're in a hurry and slow down on the road.